Although my education is in Nursing as I worked for 10 years in Critical Care and the Emergency Room, I have life-long experience in music as a piano student and teacher. I began studying piano seriously at the age of 6 with Mildred Ruth and George Brown PhD in Lafayette LA. and continued until I was 17. I started College at Louisiana State University on a full scholarship in piano performance. I studied with Milton Hallman there and also studied the viola as a second instrument. I studied for three semesters before changing my major but continued to study piano at the college level for the next three years. I later studied piano with Madelyn Trible, a music professor at the University of Louisiana at Lafayette, from 1998- 2000. Madelyn is the Founder of the New Orleans International Piano Competition. 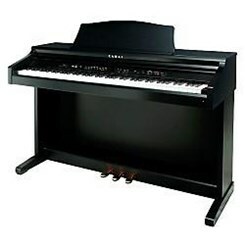 I began teaching piano in my home in Highlands Ranch Co in 2009. I have vast experience with children ages 6-17. Request Lessons with Melissa today!